Alejandro Argumedo is Program Director of Asociación ANDES, a Cusco, Peru-based indigenous peoples’ organization that focuses its work on independent action-research and analysis and fostering new forms of knowledge creation, alliance-building and partnerships for promoting indigenous biocultural resilience. 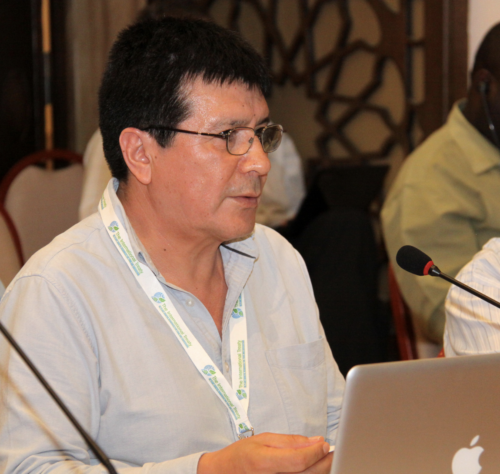 Alejandro is founder of various international indigenous peoples’ platforms cooperating within shared goals of protecting and nurturing biocultural heritage and creating capacity for biodiverse food systems and sustainable communities. Alejandro is agronomist by training and has served in various expert panels of the UN and other relevant bodies, and has been consultant for various international organizations.